If you are an Account Owner or Administrator, you can add users to your account. 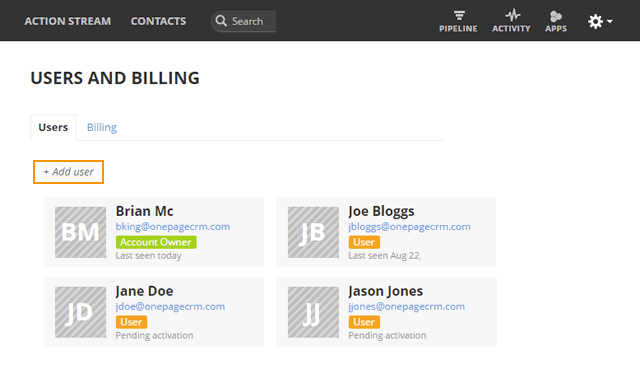 There are 3 types of users in OnePageCRM. see more here. 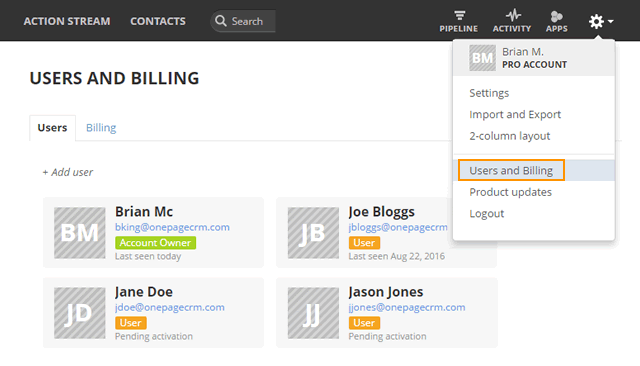 Go to the gear icon → select Users and Billing. Under Users → click on the Add user link. 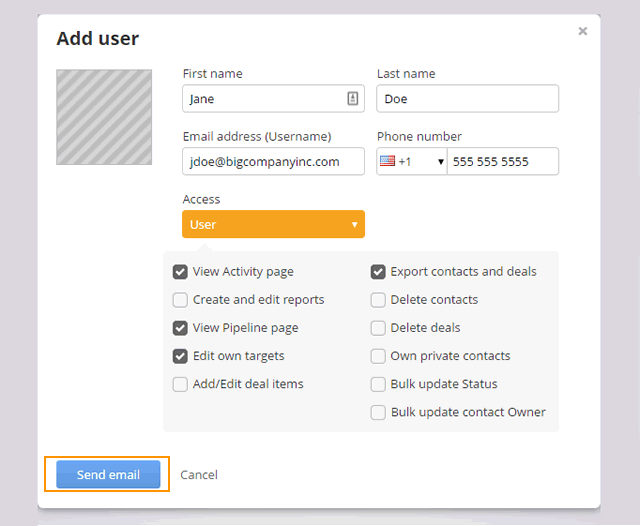 In the Add user pop-up, enter values for the required First name, Last name and Email address (Username) fields. Select either User or Admin from the Access drop-down. Note: You can assign different privileges by ticking check-boxes beside each privilege. Click Send email to add the new user. An automated email is sent to the newly added user with the link to set up the password for the OnePageCRM account. Once the recipient clicks on the link within the email, they will be prompted to follow steps to build their sub-account. If you've reached the maximum number of paid users, you can purchase more users.